I REEEALLY enjoyed this series. I have read eight of the fifteen book series so far. My review will be for the entire series. Like I said, I really enjoyed this series. Cate Tiernan just knows how to tell a story. I seriously can't believe that this series has had me so captivated, it's crazy. Normally, I will read a book and even if I own the sequel, I have to go to something else before I read a sequel to a book I just read. I did not encounter that feeling this time at all, I read the first book and then called the bookstore to have them hold the second in the series. I grabbed my keys and took off, I was back at the house reading the second book in thirty minutes. I knew I had it bad, by then. The Sweep Series (first eight books), was never boring and it didn't have any action! Just some really tense moments. The chemistry between the characters were excellent, very well crafted by the author. 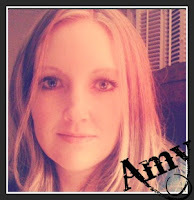 Morgan, the lead character was great, she was faced with so much turmoil and sadness. She always learned and came out of each crisis with just a bit more confidence. I really liked watching Morgan grow, especially into being a witch. Cal was very good lookin' and knew it! He really seemed to care for Morgan, which confused her because, the good lookin' one's always went for her best friend Bree. My favorite character in the series, would have to be Hunter. With his extreme good looks and his witch skills makes for one very interesting character. I know this series is older, but if you haven't started it, I would say you're missing out. Especially if you like witches. This is not like Harry Potter (fantasy) in any way. 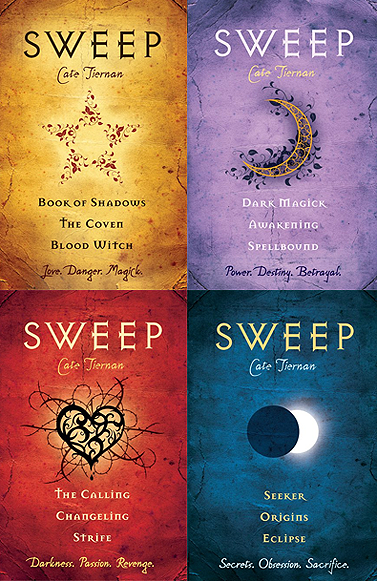 The witchcraft and story in the Sweep Series is much more grown up and realistic. This book was more the practice of Wicca. I really liked the interview of Cate Tiernan (read here), I learned more about the author that I've grown to love.